Kids Comedy Show - WES ZAHARUK! 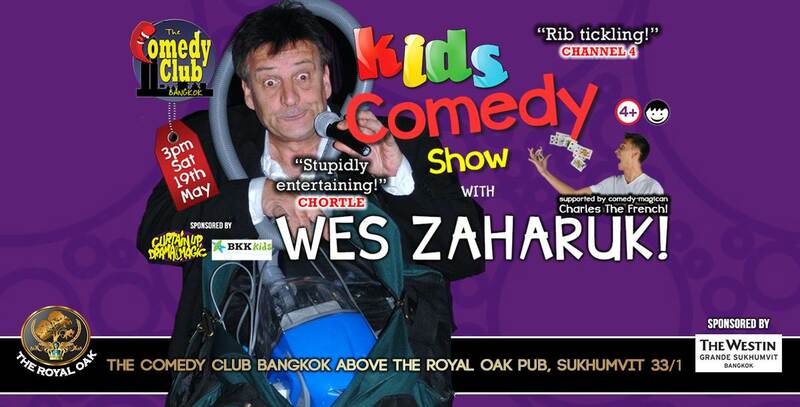 After the tremendous success of BALOONATICS and our Kids Comedy Magic show with JUSTIN RIVERA, The Comedy Club Bangkok proudly presents WES ZAHARUK, an incredible prop based comedian bringing his family friendly show to Bangkok for the first time! 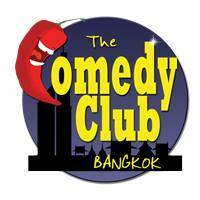 Co-presented by BKK Kids and Curtain Up Drama and Magic!! Wes who entertains with his hilarious and anarchic physical comedy routines is easily one of the most exciting acts on the comedy circuit. Expect one of the zaniest shows you will ever see as mad as a box of badgers Zaharuk raises the roof with his physical interactive comedy. Or in other words expect the unexpected! Joined by the comedian-magician extraordinaire Charles The French! A professional magician who has done more than 700 shows worldwide including France, UK, USA, Australia, China and Dubai. If you and your kids like to laugh you won't want to miss these comics in action! Ages 4+.